Woodbridge area shoppers in the market for a pickup are after a machine that will match their own tireless work ethic, and that’s where the 2017 RAM 1500 comes in. The 2017 RAM 1500 offers plenty of powerful powertrain choices, from the award-winning 3.6L PentaStar® V6 engine to the 5.7L HEMI® V8 engine and a 3.0L EcoDiesel V6 engine. All engine options are mated to a TorqueFlite eight-speed automatic transmission that delivers a smooth, responsive driving experience. 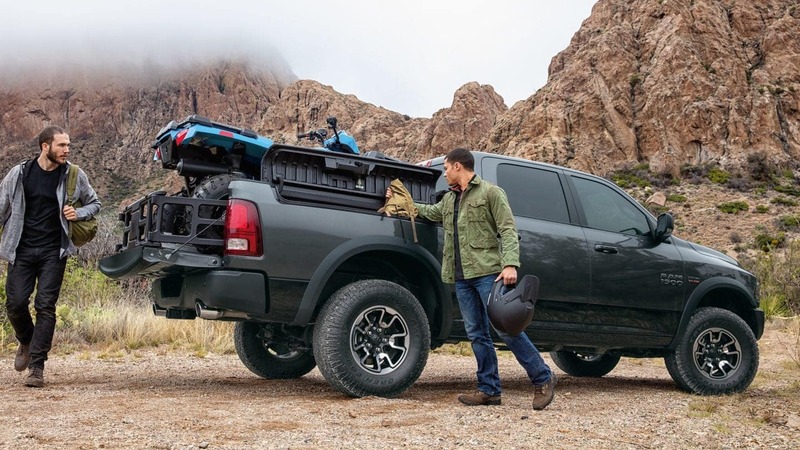 Undoubtedly, as a pickup truck shopper, you’re looking to tow or haul, and luckily, the RAM 1500 offers beastly power to get the job done! Maximum towing capacity of 10,650 lbs. Maximum payload capacity of 1,880 lbs. 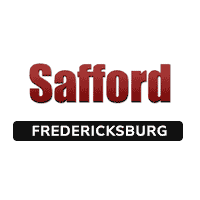 Safford Chrysler Jeep Dodge of Fredericksburg shoppers have a ton of options when it comes to choosing the 2017 RAM 1500 that’s right for them. Between cab configurations and bed sizes, it’s easy to tailor the RAM 1500 to your specific needs. No matter which bed length you choose, all beds include double-wall steel construction. Inside the cabin, shoppers will find refined styling that makes a tough job even easier to tackle. From available leather seating to automatic climate control, the cabin of your truck will offer solace between job sites. 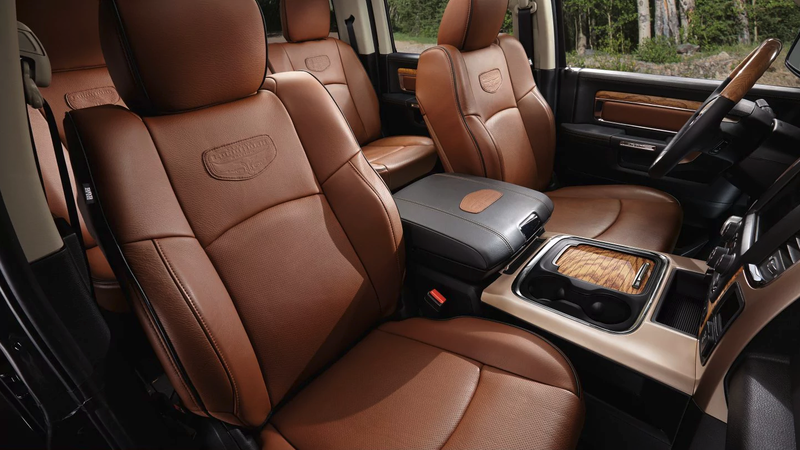 In addition to comforts and amenities, the cabin of this impressive pickup has plenty of brains to match its brawn. The available Uconnect® system allows drivers to stay in control, streamlining all media, from Bluetooth® connectivity to the radio and customizable apps. Thanks to SiriusXM® Radio, Traffic, and Travel Link within the Uconnect® system, you’ll have no problem routing the quickest way between one job site and the next. 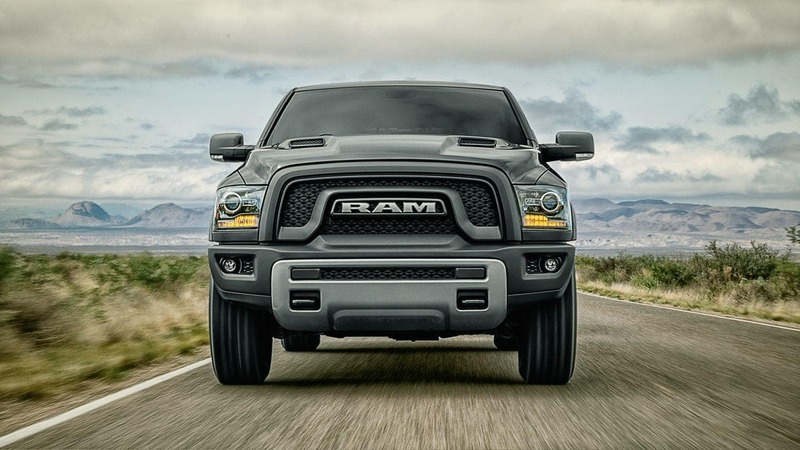 When choosing a full-size pickup, shoppers at our RAM dealership near Woodbridge want to feel confident behind the wheel. The 2017 RAM 1500 offers an array of features that help to protect you and your passengers. Electronic Stability Control helps drivers to stay in control, while Trailer Brake Control adds a bit of confidence when it comes to towing extra-large hauls. In the event of a collision, the advanced, multi-stage airbags provide exceptional protection throughout the cabin. For more information about the 2017 RAM 1500, contact Safford Chrysler Jeep Dodge of Fredericksburg at 540-898-7200 to schedule a test drive.